Heartwrenching, The Hunchback of Notre Dame is a tragic tale of the hunchback Quasimodo, his master Claude Frollo, and the gypsy La Esmeralda. It has been adapted for the big screen time and time again. The Hunchback of Notre Dame is a story that isn’t for the faint of heart, because although it may be considered openly as a romance, it features scenes of violence, injustice, and a heartbreaking ending that may leave you in tears. Despite its darkness, its popularity is so widespread that even Disney released an animated feature film version! But don’t be fooled by Disney’s fluffy PG version, because the real Hunchback of Notre Dame is far from a simple children’s tale. 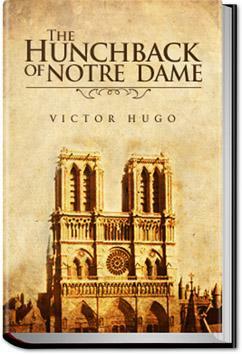 The Hunchback of Notre Dame was written by Victor Hugo and is considered to be his first full-length novel. Published in 1831, the novel became so popular that the City of Paris was urged to restore the Notre Dame Cathedral, which was entirely neglected at the time, by the book’s fans. Thousands of tourists visited Notre Dame to catch a glimpse of the building, and it still draws thousands of more tourists today. You can read this magnificently written book, rich in details and insight, ABSOLUTELY FREE right now, at All You Can Books. This entry was posted in Action/Adventure Books on December 20, 2011 by allyoucanbooks.